I liked the tall and skinny December, but then thought it would also be cool to do a 3×4 version to put into your December Daily or Project Life. To download this for free–today only–click HERE. 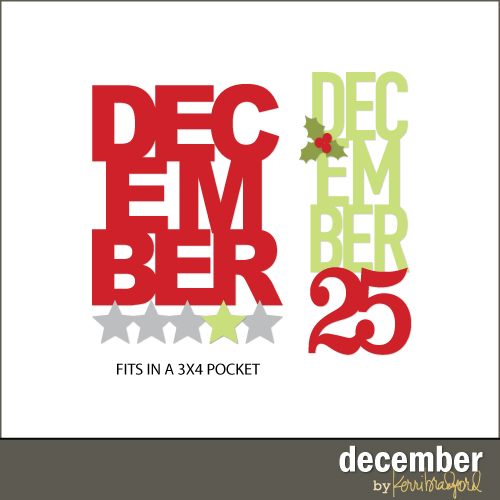 This design is no longer available as a freebie, but you can get it in the store. And yesterday was quite a day! Jordan and her two friends sang a song in church and it was beautiful. Then Jordan gave a very enthusiastic and lovely talk. Our bishop–knowing Jordan and anticipating her enthusiasm–‘called an audible’ (as he said) the night before with our music people and wanted to sing Called To Serve and he had us all stand. That was a first and it was pretty darn cool. Lots of food. Lots of family and friends. Great day. And we ended it with a little puzzle fun. We put Harry Potter 5 on my iPad (hooked up to our Bose bluetooth speaker, of course) and listened to it while we began this adventure. The puzzle we picked up in Vegas at the Coca Cola store. It’s a doozie! Thanks Kerri! I think I’m going to use this in my December Daily this week. Thank you so much. Family times are always special and the best! Thanks Kerri! This is great. It sounds like you had a wonderful day yesterday. Good luck this week! Did you complete the puzzle? Oh good gracious no. lol Progress. But not much. This is a great one . . so many fun uses! What a wonderful time of year for your family. Let Jordan know my next door neighbor is going to the same mission! She leaves in February. Can’t wait for you to meet her. We’re in Burley, Id and I remembered you have a connection to Burley. I’ve told our neighbor about your blog so she will know who Jordan is when she arrives. Thank you Kerri! I love this one. 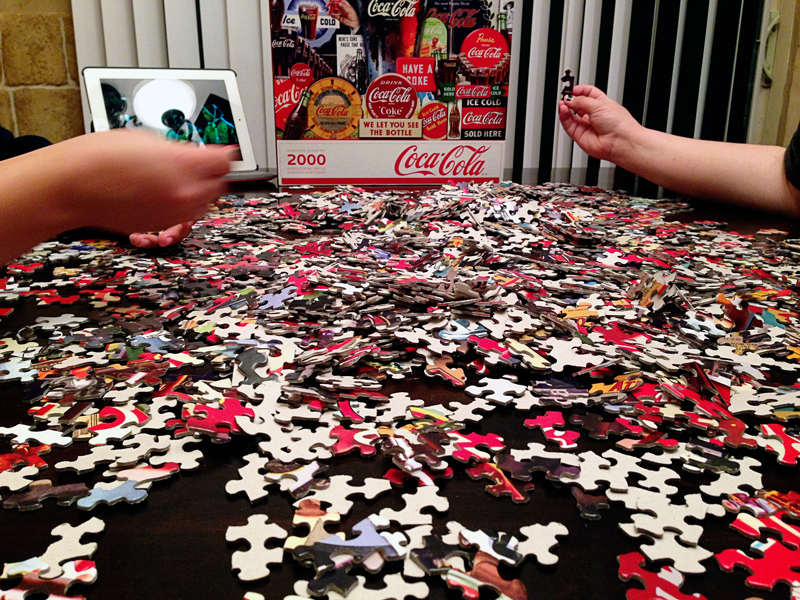 Our family has a puzzle tradition as well – small world! Thanks again for the freebies! I love your style. Thank you so much! Thanks for today’s freebie. Good luck with your puzzle – it looks like a tough one. Thanks Kerri! Love, love the Decembers! Seeing your puzzle reminds me of my childhood. We always put a puzzle together sometime during the holidays, fun memory!! Thanks so much for the cut file! I think both designs are wonderful!!! That looks like one incredible puzzle! I can’t wait to hear how long it took to put together! Enjoy! Love, love, love this cut file! Thank you for sharing your wonderful talent with us! Thank you for the download. Merry Christmas! Did not get your merry + bright freebie downloaded in time, and I went to your shop to find it and I was unable to locate it. Thanks for any help!